Elliot Brown focuses on complex litigation and a broad spectrum of intellectual property matters. Elliot has led copyright, patent, trademark, trade secret and right of publicity litigations in courts and administrative bodies throughout the country. 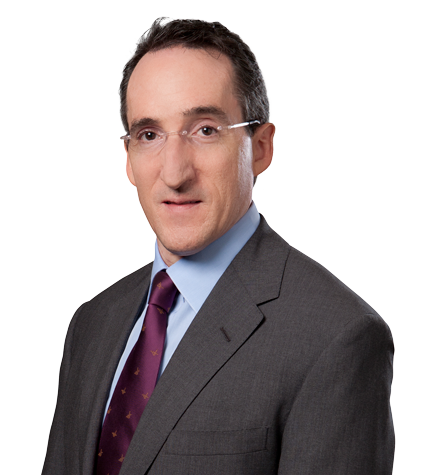 He has also represented clients in negotiating complex transactions involving intellectual property. Elliot’s clients have included Fortune 500 companies, startups, law firms and individuals, and have spanned a diverse gamut of industries ranging from high to low tech. After law school, Elliot clerked for the Hon. Pierre N. Leval, one of the most distinguished copyright jurists in United States. Elliot continued his copyright work at Irell & Manella LLP, where he has collaborated extensively with David Nimmer, one of the world’s foremost copyright experts. Elliot was the firm’s managing partner from 2009 to 2012. Elliot also served as a legal consultant on the feature films Runaway Jury and Fair Game. Elliot has authored and co-authored numerous articles. Most recently, he co-authored (with Irell colleagues Ben Hattenbach and Ian Washburn) “From Camera Obscura to Camera Futura: How Patent Law Shaped Two Centuries of Photographic Innovation and Competition,” 98 J. Pat. Trademark Off. Soc’y (2016). Elliot has frequently taught intellectual property and presented papers on intellectual property to peers, including at the American Bar Association's IP Section annual meeting, ALI-ABA seminars, the Copyright Society of the USA's annual meeting, the Los Angeles Copyright Society, Counseling the High-Tech Client seminars and American Conference Institute seminars. Elliot has also taught law students at UCLA, USC and Harvard Law Schools. He is currently co-teaching an advanced copyright law seminar at UCLA School of Law with David Nimmer.